Raising money for charity through telethons started back in the 1940s in the USA. Fast forward several decades and telethons are an ingrained part of the nation's psyche (think Children in Need, Comic Relief etc). With the advent and growth of the Internet and social media channels, it's not surprising that we now have 'app-a-thons' - different ways of raising money for charities. These app-a-thons are typically a facebook app or a web page that encourage us to get involved with a certain charity, by interacting with the app. Often these types of apps are developed and sponsored by large organisations, in support of a charity, under their corporate social responsibility policies. Sometimes they can be dry, sometimes they can be fun but (generally speaking) they are always in aid of a deserving cause. 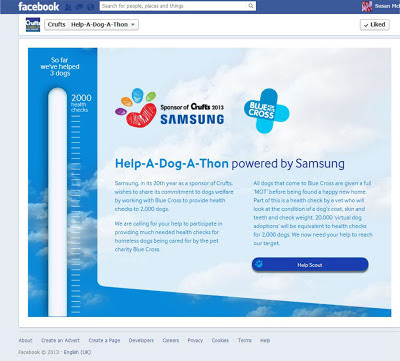 This year, Samsung has launched the 'dog-a-thon' app on the Crufts facebook page. The app is in celebration of Samsung's 20th year of sponsoring Crufts and is in aid of the Blue Cross. Samsung have a target of 20,000 virtual dogs adoptions, which will equate to a donation of 2,000 individual dog health checks to the Blue Cross. You get to choose from three types of dogs to adopt: a Labrador, a Cross Breed and a Greyhound (no prizes for guessing which breed I chose)! Then you've the chance to name your dog (I chose, Scout), choose from different activities and finally, share the app with your friends so they can participate. It's a fun app, with some nice illustrations and a nice level of interactivity. So, if you're on facebook why not give it a go and help some of the dogs in the care of the Blue Cross? Just click on the photo to go to the app. 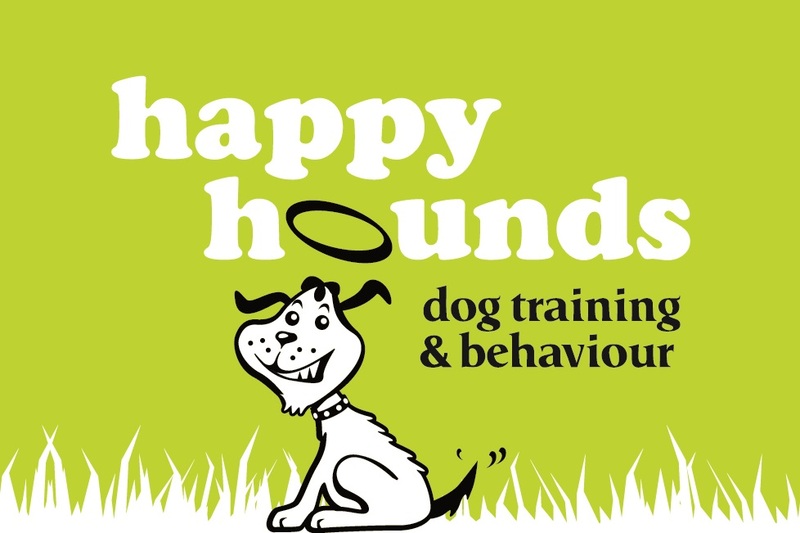 To be in with the chance of winning 2 tickets to Crufts (for the day of your choice). Simply leave a comment on any of my blog posts in February (including this one). For terms & conditions, see below. for the love of dog ... please enter me into the crufts competition !